Enjoy this short video guide to help you navigate your way to Weissman's West Cobb office. Take Dallas Highway east towardMarietta. Pass The Avenues shopping center on your right. Go through the next traffic light, which is Due West Road. Immediately on the right is the Village at West Cobb. Our office is located in Building 500, the 2nd building on the right. Take I-75 South to Barrett Parkway (exit 269) and turn right. Continue approximately 6 miles to Dallas Highway and take a right on to Dallas Highway. Travel 1.6 miles and when you see the Bank of America on the right, make a U-Turn at Due West Road. The Village at West Cobb is immediately on the right. Our office is located in Building 500, the 2nd building on the right. Take I-75 North to Barrett Parkway (exit 269). Take a left and continue approximately 6 miles to Dallas Highway. Take a right on to Dallas Highway and travel 1.6 miles. At the Bank of America on the right, make a U-Turn at Due West Road. The Village at West Cobb is immediately on the right. Our office is located in Building 500, 2nd building on the right. 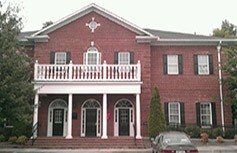 Welcome to Weissman’s West Cobb office. Click below to enjoy an interactive virtual tour of the office.